Winners of Round 24 cTrader Weekly demo contest announced! We are pleased to announce five winners who outperformed others and achieved good trading results in our cTrader Weekly demo contest. The best traders of Round 24 are awarded with the prize from our fund and proudly listed among the winners from previous rounds. While we congratulate five lucky winners, we encourage all traders to register for the next round that will take place just in a few days! 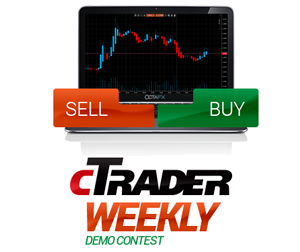 We thank all traders for participating in our cTrader Weekly demo contest, and we hope that you have enjoyed it. Make your learning process smooth, and entertaining by joining the next round of cTrader Weekly demo contest that will start just in several days. Trade actively, learn fast and get your real prize.cTrader Weekly demo contest is devised specifically for this purpose! Explore safe trading with OctaFX and be prepared for a real challenge! OctaFX welcomes new Round 42 OctaFX Champion demo contest winners! We are proud to announce Round 42 OctaFX Champion demo contest winners! We are glad to share the names of our winners and divide $1000 prize fund between 4 lucky traders! These champions proved themselves to be good traders and, thus, earned our praise.